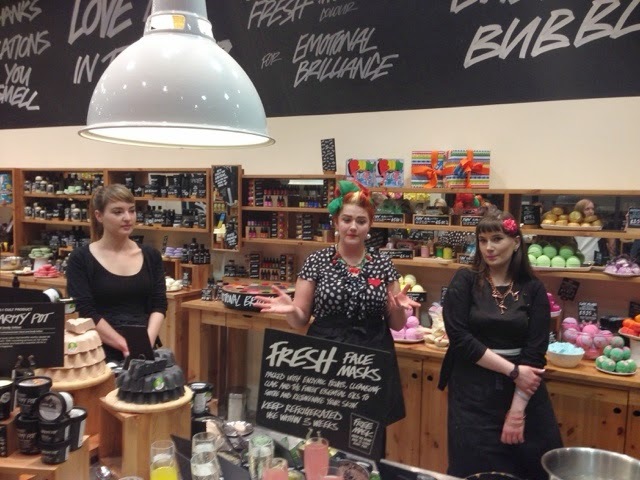 Lush is so much more than the bath bombs I think everyone associates with the shop and this Spring in to Skin event was an excellent opportunity to learn more about their skincare range. I'd used some of the fresh facemasks before, made with the freshest of ingredients it's kept on ice in the store and you need to keep it in your fridge once you buy it, but had never really tried their cleansers, toners or moisturisers, so it was lovely to learn more about them and give them a try. Just look at the wonderful colours, I'll take one of each please! 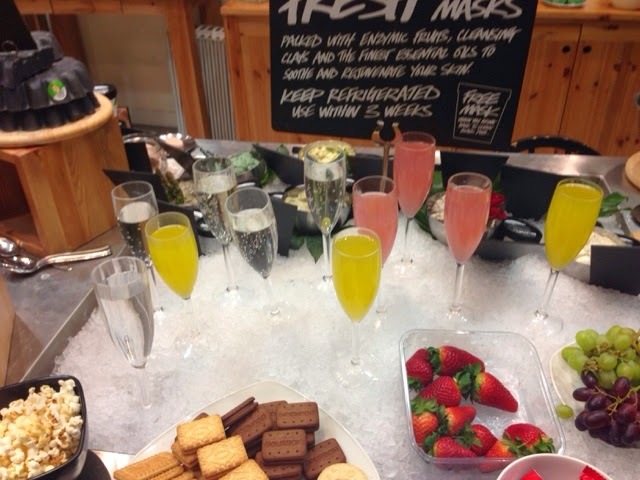 Three lovely Lush ladies were out hosts for the evening and in addition to genuinely knowing their stuff and clearly loving the brand themselves,they ensured we were taken care of on the night with some lovely non-alcoholic fizz and nibbles, thanks ladies! 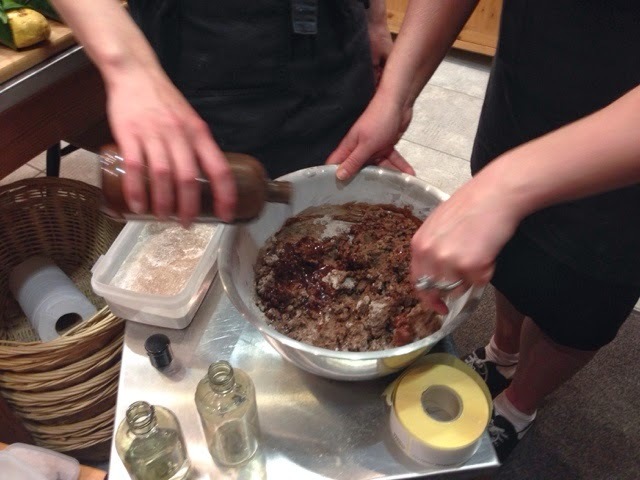 We learnt how the products are handmade in the Lush Kitchen in Poole and talked about the some of the key ingredients in their skincare. Then we got to make some Cupcake facemask, which smelt and felt a lot like baking actual cupcakes *drools*. I've not actually used this yet (too many late nights working at the forever house! But hopefully this evening will be a night off and I will indulge in a bit of much needed pampering). I will probably instagram a pic of me with my mask on later. Then we were given a sneak peek of some new products that are due to hit the shelves today! It was fab to hear about (and smell!) 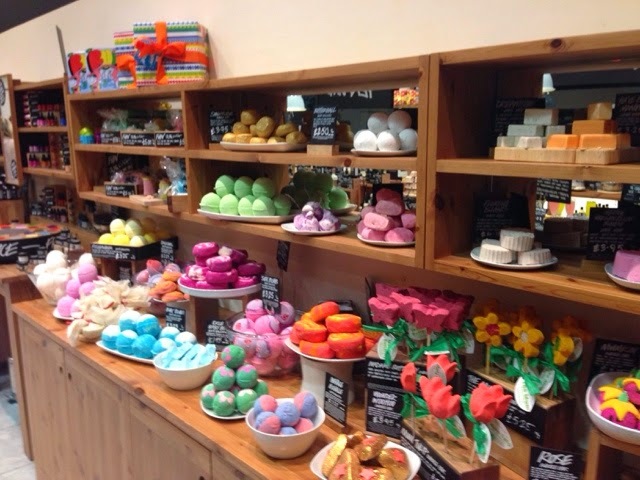 some of these, my favourites were the sea salt soap, the lemon soap and the gorgeous sakura bath bombs. 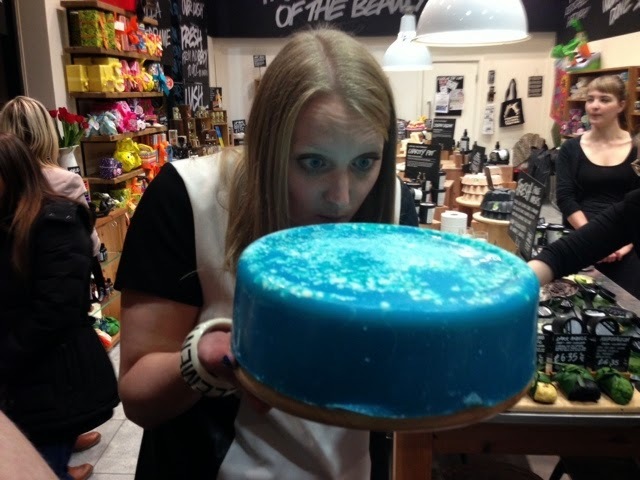 Lauren and very heavy sea salt soap! 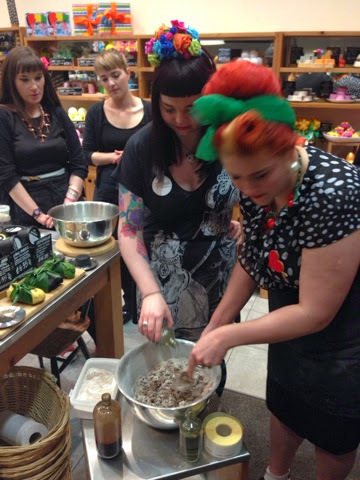 It was such a fun night, thanks to both the lovely ladies at Lush and Lynsay for organising. 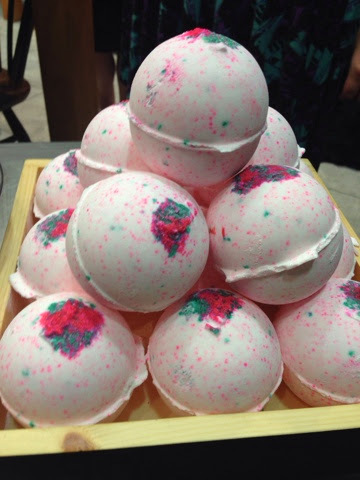 Are you guys fans of Lush? If you've never tried their products, I recommend you check them out the next time you fancy treating yourself.